This Greenwich Health Insurance Company review explores Stamford, Connecticut-based Greenwich Insurance Company. Greenwich Insurance Company is wholly owned by XL Group, also based in Stamford, Connecticut. The company writes both primary and reinsurance coverage in a variety of insurance categories, and manages an elite Lloyd’s of London syndicate. The company shouldn’t be confused with Greenwich Independent Insurance, an online insurance agency with headquarters in Fairfield County, Connecticut. While you’re thinking about health insurance, take a moment to request completely free, no obligation health insurance quotes by providing your home zip code! Continue reading about Greenwich Insurance Company to determine if the company or its parent can provide health insurance services you need. Greenwich Insurance Company’s “A” (Excellent) rating was reaffirmed in 2011. The company’s financial size is “XV” or $2 billion or more, according to A.M. Best. The company’s ultimate parent, XL Group, reported $6.4 billion in sales revenues in fiscal year 2010, and generated approximately $643.38 million in net sales for the period. The company achieved a one-year sales growth of 3.31%. According to the company’s financial statement, XL Group has total assets of about $45 billion and a market value of about $5.82 billion. Greenwich Insurance Company and its insurance group network offer a variety of specialized insurance products and services. The company doesn’t specialize in health insurance, but provides specialty health and well-being insurance coverage to high net worth individuals. The company focuses on writing property & casualty insurance and reinsures the risks of other insurance companies around the world. The company’s primary client is a medium to large-sized corporation. To that end, the company provides insurance products including executive liability, political risk, and general risk coverage. The company underwrites specialty health insurance for executives and families along with key man insurance policies. Key man insurance protects the business organization from the early death or disability of a key executive. Some key man insurance policies are written for only a few years. Others are written for a specific period, such as a decade, depending upon the business plan of the organization and the executive’s anticipated specialized contribution to the company. Global weather catastrophes caused an increase in property & casualty loss claims in 2010 and 2011. The company paid claims against the Japanese tsunami and earthquake, Australia floods, and New Zealand’s earthquakes. New U.S. insurance products, including specialized product recall insurance to the food industry, beverage industry, and beverage bottlers has been popular in the recent past. The parent company posted $1.43 billion in losses in 2009 and reduced its global workforce by approximately 10% that year. Management has focused on offering core products and services, such as specialty insurance lines, to support and strengthen the company’s revenues. In 2010, XL Group sold its life insurance unit, XL Re Life America, to SCOR for about $45 million. A short-term life insurance unit was sold in 2008. The remainder of the company’s traditional life insurance business is in runoff in the United Kingdom and Ireland. During a runoff period, the business writes no additional insurance and manages its existing customer commitments. The parent company’s headquarters moved from the Cayman Islands to Dublin Ireland. 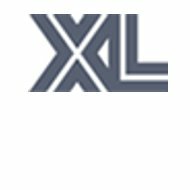 To commemorate the move, the company changed its name to XL Group from the previous XL Capital. Although the company has announced plans to expand its international business lines, financial prudence has caused merging some existing international locations. XL Group received a key license to open an office in Shanghai, China. Don’t wait to compare your health insurance rates—request fast, no-cost health insurance quotes by providing us with your zip code today!